All of us are looking for that one product that really delivers on the promise when it comes to better looking skin. I know I have tried so many different products and although I have found some that have made a difference, there hasn't been any that I really saw make such an impact as the Riiviva microdermabrasion unit. It operates as the professional systems and delivers the same results but at a fraction of the costs and at your own convenience. I love my Riiviva and can definitely tout the benefits along with the ease of us. I have tried one of their competitors, which is on their comparison page, and would recommend the Riiviva due to results and particularly how easy it is to use. 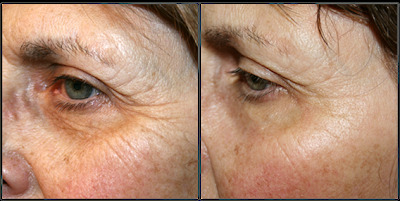 The other unit I used had to have a tight portion of skin in order for the suction unit to work on the skin which made some areas on the face very difficult. The Riiviva is so much easier as it has the diamond head and it operates on three selections of power for your comfort. 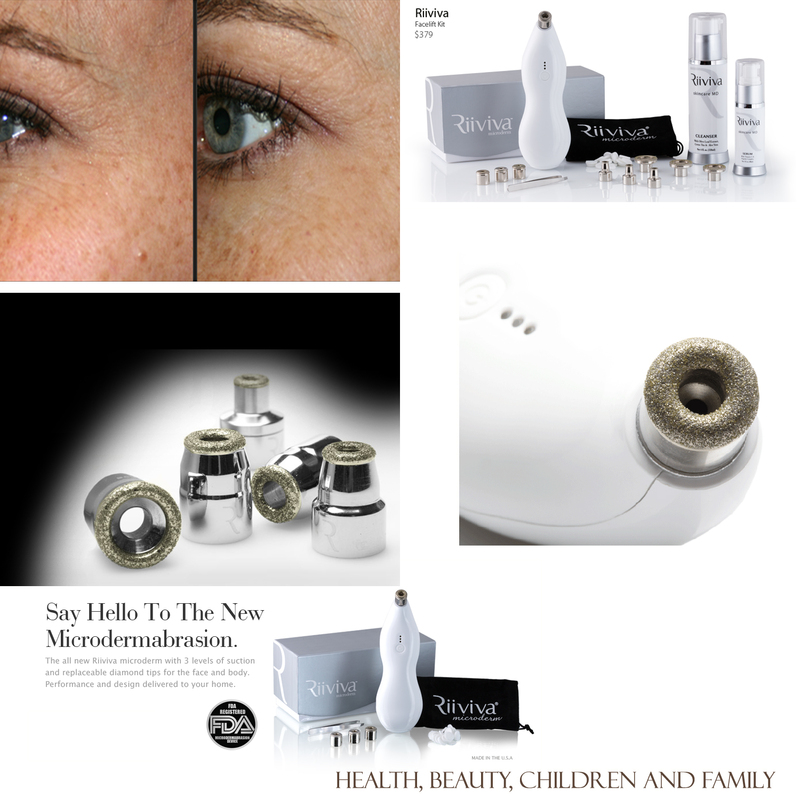 It's not just any type of resurfacing tool as it uses medical-grade diamond tip abrasion and a patent-pending vortex which reduces wrinkles and fine lines, sun spots, acne scars and mild acne. With other attachments, it can be used on various parts of the body to help reduce stretch marks and keratosis pilaris. 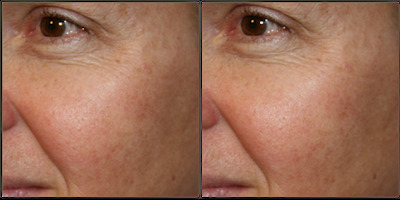 I cannot vouch for those conditions but I can state that I have seen a reduction in wrinkles, fine lines and acne scars. My before picture didn't turn out as close up as I had liked so I didn't use it but my oldest daughter told me that just after a few week's of use, she definitely saw a reduction of my acne scars on the jaw line. I also love how soft my skin feels after a treatment since it removes the top layer of skin (stratum corneum). Just click on the Riiviva video link to see it in action. It is stated that you should clean the Riiviva after each use with a brush for the diamond tip and tweezers to pull out the filter. Both are easy to do and doesn't require elaborate tools or processes to do. 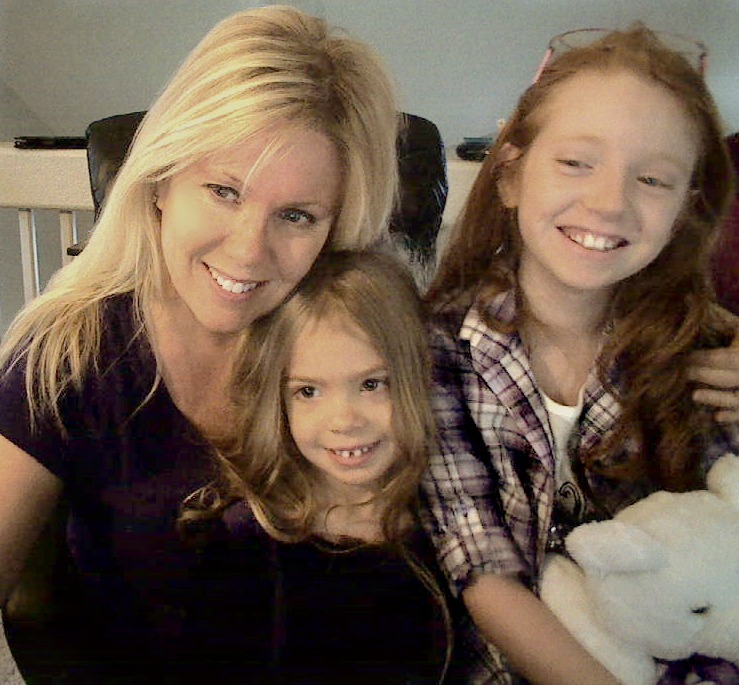 Not the best close up picture but here is one we took to celebrate epilepsy awareness' Purple Day last month. I will be 45 in July. Made in the US - what can I say? I love buying products made here! Variable levels of suction to control how much I want at my comfort level. Comparably priced - you can find cheaper but the quality is what counts in my opinion. It's registered with the FDA. Riiviva provides the device alone or you can buy kits, various tips, accessories, serums, cleansers and much more. It's a one stop shop for healthier looking skin! I love my Riiviva and am looking into buying some of the different abrasion tips for stretch marks and more precision for acne. It's worth the money as it delivers results and is so easy to use. To learn more about Riiviva for microabrasion, click on the link. Follow Riiviva on Twitter, Facebook, YouTube and Pinterest. *Disclosure: I received a complimentary Riiviva for the purposes of this review. The opinions are of my own. Great post! Looking forward to trying Riiviva out for myself! I want one so bad. I could use this for my aging skin. What a great giveaway. Thank you for this. Did you have significant redness after the treatment? Wow, that really is amazing! I certainly need help with my face.I'm a mess and this could possibly help me out. Looks like a nice unit. I could sure use it around my eyes or crow's feet. I would love to have this. I'm so tired of all the promises certain companies make and don't follow through. It's a waste of time and lots of money. I'm in my 30's and starting to get skin discolorations; I'd love to try this. I did have some redness but it didn't stay red long. The other device I have used kept my skin redder longer. My sister ended up getting a sore near her eye from the other one. With Riiviva, it's so easy to use and with the three tips, you can control the amount of abrasion and the pressure you apply. I think one thing to remember with devices like this is to watch a video on how to use it first because you don't want to leave it on one spot for any length of time. I go around my entire face once in small strokes and then I go back over again. After that, I apply my wrinkle/moisturizer over it. I do use it daily and have not had any problems with using it daily. I think my acne has definitely went don't as I still suffer from hormonal acne and it seems to have shifted down my neck so I have to kick it up on that area. I really feel my face just looks fresher and supple. i really want this.. your skin looks amazing! Thanks for the review!! I really appreciate honest opinions, especially on something I've been contemplating buying....$300 is a bit of an indulgence for me when I should be buying supplies(I'm a jewelry artisan) But I've really wanted one for a while now!! Thanks for the sweet review!! I would so love to own one of these, especially after reading your review of the Riiviva!